UPDATE: The presentation slides and wikispace is here. I'm doing a session at Boston podcamp called the Social Media Metrics/ROI Game. I'm slightly out of my comfort zone here because I've only been following this topic closely for a short time, although I have co-authored a guide for nonprofits on technology evaluation and ROI. I also don't want to get too deep into geeky measurement crap. And, above all, the session needs to be a conversation about Social Media, not a lecture. So when I heard that one of the leading subject matter experts on social media metrics - Jeremiah Owyang - was the guest of honor at a local social media networking event, I decided to go. And, the networking was good, but the best part was the opportunity to ask Jeremiah a few clarifying questions to his face! Thank you! There is a lot of discussion on the topic on web strategy blogs and from social media strategy gurus like Owyang. There's also a lot of talk in the nonprofit blog space prompted by a recent Netsquared ThinkTank and some great thinking on the topic, particularly by Wendy Harmon of the Red Cross, mostly focused on ROI. I'm looking to blend different perspectives and have a workshop session that can speak to nonprofits and grassroots media makers. Also, most of the audiences I'll be talking to are not web analytics geeks either, so will need a basic and condensed overview too. Standardized metrics for measuring the ROI of social media strategies are a moving target. Many are discovering that traditional web analytics and metrics (like page view) are not appropriate. The current conversation is about the need for new metrics and methods for objective measurement. What metric(s) you select depends on your strategy map, tool selection, and context. Different metrics matter for different social media makers for different reasons. This session will use a training game as a conversation starter for participants to begin to identify the most important metric mapped with strategy. The session will provide a brief summary of the recent thinking on this topic by thought leaders in the field, but mostly provide an opportunity for small group discussion and sharing about current practices on this important topic. A conversation starter about social media metrics with your fellow social media maker peers here in the room and (hopefully) to be continued on the social web. When standard metrics are discussed, people easily fall into the "mine is bigger or better than yours" comparisons or "numbers data out of context thinking." Our brains naturally migrate to scoreboards, report cards, and stock market returns For nonprofits, it isn't about making money. The focus is on: improving the effectiveness of the marketing strategy or content, not wasting limited resources, and having more people to take action (push for cause, donate money, or whatever). I'm going to give a very brief overview (15-20 minutes at most) that will serve as a conversation starter for small group work. Here's a brain dump of some key points. I was very grateful for Jeremiah's assistance in thinking about the social media metrics. Standardized Metrics are those attributes that an industry might use to compare different organizations, media outlets, etc. (Think Nielsen Ratings). ROI (Return on Investment) determines whether the cost of your marketing investment paid off. Should we be spending our time or money on this social media strategy? Traditionally, this looks at dollars out and dollars in. It may also look at outcomes or reaching goals. What is more important how. We should pay attention to the social media standardized metrics discussion and translate it into useful ways to apply it to nonprofits and grassroots media - but not get bogged down in geeky measurement. It's Hard To Put A Dollar Amount On Priceless. (Need to track down the cost of the most expensive Van Gogh) It can be difficult to put a dollar value to intangibles in social media. Think about that Master Card commercial as illustrated here. So, why can't we simply use existing metrics and analytics software and call it day? The Web is changing! The emphasis is on collaboration, sharing, and conversation. (If there are podcasters in the room, you know that already!) Social media has rocked the world of web analytics and metrics! In December, 2006, Steve Rubel predicted that the Page View is Dead! "The page view has served us well. It has established a universal way to measure web sites. However, the metric is about to become a moot point. The page view does not offer a suitable way to measure the next generation of web sites. These sites will be built with Ajax, Flash and other interactive technologies that allow the user to conduct affairs all within a single web page - like Gmail or the Google Reader. This eliminates the need to click from one page to another. The widgetization of the web will only accelerate this." Question: Why does a Star Fish Have Five Rays? (Answer: I don't know). 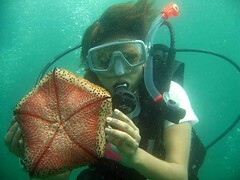 So, what the heck does a Star Fish have to do with Social Media Metrics? (Answer: I still don't know, but I saw it on Scoble's white board) He describes five social media metrics and suggested they be combined in some way for a standardized measure. How many people comment on posts? What is your post to comment ratio? What do they click on? How long do they stay? I used some metrics and measurement techniques suggested by Avinash Kaushik to look at the commenting. I also think quality of the conversation or shape of it is important. Are you really getting off your soap box? Loyalty: How many subscribers does your podcast or blog have? What is the trend? Going up and to the right? Influence/Authority: Scoble defines this as % of posts that show up on Techmeme, Digg, my Link Blog, Slashdot, StumbleUpon, etc. 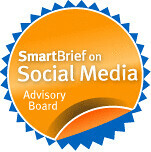 Avinash suggested Technorati. This is hard to pin down. Does the number of embeds fit in here? Intent/Action: What is the most important goal or outcome of your organization, work, or business? What is your conversion rate for getting me to sign up, volunteer, donate, purchase an item, etc leading towards that goal? Owyang says that qualitative information, anecdotes are very important. List of the most likely places a human will encounter the media I produce. Methods for listening to conversations off-blog and outside my media. Touch Points along the value chain and how my media reaches each one. Path back to a central data capture for reporting and strategy monitoring. Pinpoints to corrective measures taken from initial strategy path to current efforts. Detective Work: What's going on here? Why are the comments higher on one blog post or podcast and lower or another? What can we adjust? This can be helpful for continuous improvement, but it is time consuming and may not be effective. Goal: What is your most important organizational, business, program, or project goal? Outcomes: What changes? What happens? What would success look like to you? Metrics: What are the attributes or evidence you will measure? Measurement: How will you measure? What data? What source? At this point will want to do a small group where one person is the client and the others will ask these questions, focusing on the first three. Each group will have a cheat sheet with the questions one side and the metrics/definitions on the other. Anyone willing to go through the framework above and share an example from real life or make one up so it isn't all concept? What isn't clear or could be simplified? Relationship Measurement was defined by Jim and Laurie Grunig and Linda Hon in this paper..
Beth, thank you for spending time with me, you're an excellent student ready to absorb information and apply, wow fantastic post. My new employer has also written extensively on the subject, and I look forward to learning about their methodologies, and perhaps even improving mine. I'll share more details with you as I get past the three week mark! Once you've started the conversation, it's important to measure how well the other guys think its going. Also, since transparency is key to trust, you need to have an objective measure of your transparency. @JO - thanks and will look forward to the example. KD - Do you know how one might measure transparency? There are several layers of transparency, and not all people are equally comfortable at each level. One level is when a company acts like they are being open and honest with you, but in reality they are hoping that you are just a lemming and will follow along without asking any questions. Another opposite level is when things are being told exactly how they are - of course, this level of honesty often meets with people thinking that there "must" be something between the lines. And several grey-layers in between. Beth, this is a gigantic topic, for corporates as well as NGOs. I won't let that get in the way of a few high-order observations. Overall metrics won't be for social relationships or training or blogs: you can't parse reality into those categories. They each influence one another. You're looking for something simpler: what we put in and what we get in return. To rise above the trees, the rule of the forest is cost:benefit. Again, this is not monetary, as least not much. Cost includes time that could be spent on other things. Benefits include customer satisfaction, increased capacity to serve, or more dedication to the mission. Naysayers will argue that you can't manage what you can't measure. That is absurd. The higher the level of management, the more uncertainties. Decisions you can back up with numbers are no-brainers. The tough part is judgment calls. Very few decisions or evaluations are made on the basis of numbers alone. So how can one tell if something is worth repeating? Or putting more energy into? Ask the stakeholders. Anyone who understands statistics can specify how large a sample you need to take the temperature of an entire group. A few in-depth interviews will probably be more revealing than thousands of fill-in-the-blog questionnaires. I've been looking at this issue for a dozen years, and the one certainty I have found is that's there's no silver bullet for this. This is not my area of expertise. I have never warmed to the subject of measurement. However I can make this observation about your structure. For me the key are your learning goals for the session and you have stated those reasonably clearly in the centre of your post. Basically you want to fire up a conversation among your participants, getting them to compare two broad forms of measurement wrt their useful in measuring ROI in this context. That's all good. Keep that central in your mind and forget the detail. Let them fill out the detail. I don't know your target group and I don't know how hard you will have to work to establish and maintain the conversation. Some folk love converstaion. Some folk just want to be fed. You will have assess this before hand. As for all the content that you have here. It demonstrates that you have done your homework... but don't flood them with this. If they know they will be bored. if they don't it will go over their heads. I would make it available but not "present" it. Rather... think about your focus questions. What do you really want them to talk about? What questions will guide the conversation? On the day, if the conversation goes off on some tangent, if it is fruitful and they are engaged, then let it go there. if you have your focus questions in mind you can always bring it back later if that is appropriate. And most of all... relax and go with it. Now all this is based on the assumption that you truly want a conversation. If, however, you want to present information, then use the 20 slides, each for 20 seconds rule. It's called Pecha-Kucha. Here are a couple of references. When presenting... keep it short, keep it sharp, keep it sweet.... and then let them do with it what they will. @Jay: I think what I'm after is how can you use the logic model formula (goal, outcomes, metrics, measurement, map) to make good judgment calls or improving what you're doing? @Russel: I appreciate your instructional advice. I'm going to make a little sticky note with the learning goals on it - to keep myself on track while facilating. I thought this social media session is the same as what we did in Cambodia. But going underwater is great, I love views over there. What were you holding in the pix? This is session is different. That's not me, it is a photo from flickr. I'm not sure how this might translate to Cambodia. Does the word "metrics" even exist in Khmer? As usual, you're the brightest bu;b in the box? How do you get SO SMART about everything you take on? The problem I have with measuring new media is that metrics are designed to measure in one direction - from point A to point B. They aren't great at measuring in multiple directions at once, and that's the key benefit of social media - it takes people and messages in several directions at once. So I think that you can pick INDICATORS of ROI in social media, but it's nearly impossible to use metrics to determine real ROI from social media. This of course, assumes that you can actually measure a "real" ROI anyway. Which sounds like a whole other blog post. This is a great, very thoughtful analysis of the problems with measuring social media. The biggest problem I see agencies struggle with is trying to put this in a standard bucket of ROI, and the only model that exists is for web analytics. Its not the same though, for the reasons that Holly, the last commenter mentioned -- social media goes in many directions and you can't predict what people are going to say, where and what they will post, etc. Thanks Beth - I'm turning some folks I'm working with onto this post. Hope it can help us think about the outcomes from a wiki we're working on.